This beautiful beach front home and separate darling cottage offer sandy beach front living at its best! Relax and enjoy the Diamond Head view and magnificent sunsets from your spacious covered lanais. Cool trade winds brush across the expansive grassy lawn that eases into the sandy beach. The ocean is great for kayaking and other water sports. Take your boat to nearby restaurants and movie theaters. The open floor plan of the main home is perfect for indoor/outdoor entertaining and boasts 4 bedrooms, 3.5 baths, den, and family room. The 1 bedroom separate cottage will delight your guests. Sale includes proportional interest in adjacent additional beach front land. Also, ask about seller’s adjoining properties available soon. For video go to https://vimeopro.com/mls/201portlock. Please, send me more information on this property: MLS# 201821747 – $4,000,000 – 201 Portlock Road, Honolulu, HI 96825. 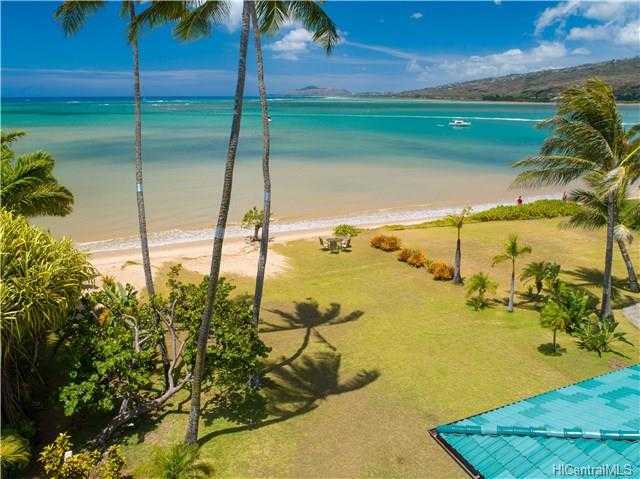 I would like to schedule a showing appointment for this property: MLS# 201821747 – $4,000,000 – 201 Portlock Road, Honolulu, HI 96825.